Printed circuit board (PCB), various seeds. 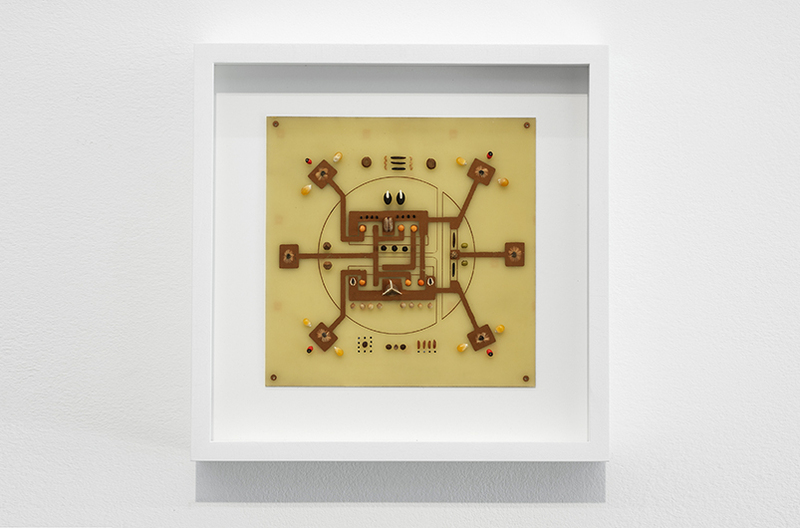 Immortality Drive is a combination of a graphic translation in a copper circuit of the image of the first monolithic silicon integrated circuit chip, invented by Robert Noyce of Fairchild in 1961. 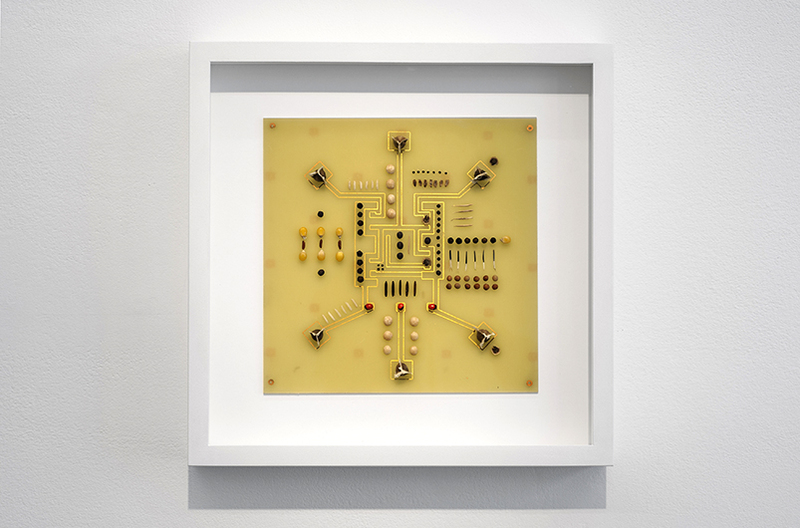 This world changing invention is immortalised on a PCB (Printed Circuit Board) and decorated with a wide variety of seeds and grains from around the world, representing transistors and electrical components. Together they create a Lukasa, or memory board, that was used by the Bambudye within the Luba Kingdom in the Democratic Republic of Congo throughout the 19th and 20th Century, as an archive for the topographical and chronological mapping of political histories, to recollect important people, places and mythical migration routes. The seeds are collected at the Botanical Garden of Meise (Belgium), Jardin Botanique de Lubumbashi (D.R. Congo), and various other places around the world. They are organised in relation to the graphical outlines of the first monolithic silicon integrated circuit chip and evoke the memory of seed collection, preservation, modification and militarisation.